This was Primary Three’s Assembly Week. 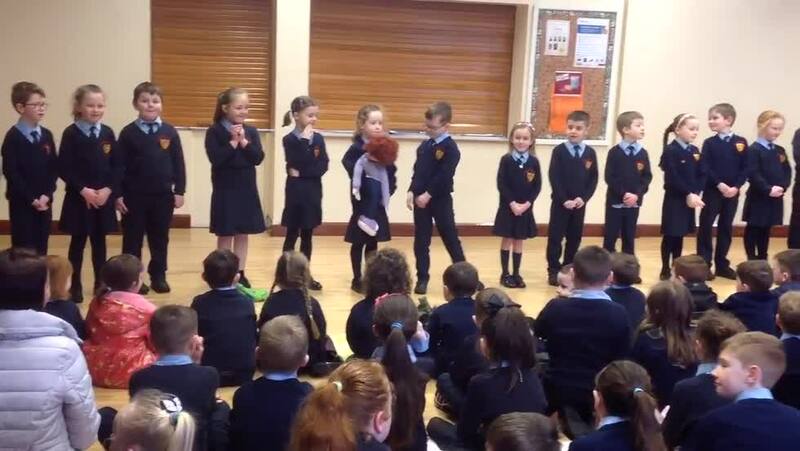 We had many budding ventriloquists in our class who used Bertie to entertain pupils and teachers alike! Lots of laughter reverberated around the hall when Bertie commented on classes and teachers. Eventually Brea had to put him back in his bag before he caused any more upset! The message behind our assembly was that we should think before we speak and not hurt people’s feelings.